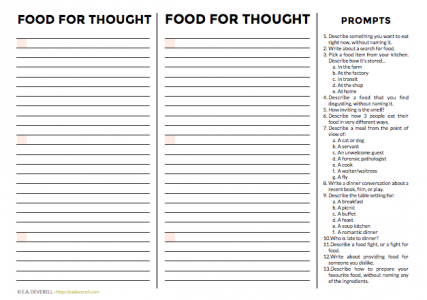 Try some of the prompts in this worksheet, or some of the scene ideas below. I’m sure you’ll be surprised by how much you have to say about food! P.S. You may also enjoy the Description and Senses worksheets.